The Association of Agents for Overseas Studies Recruitment of Nigeria was founded and registered in 2016. The association was created to ensure agents exhibit professionalism, ethics, and good conduct in their responsibilities as an international education agents. AAFOSRON aims to assure overseas educational institutions that agents in Nigeria can be trusted and to ensure cordial relationships between the association members and foreign institutions. The Association of Australian Education Representatives in India (AAERI) was formed in October 1996 to assure the integrity and credibility of agents who are recruiting students on behalf of Australian education and training institutions. The establishment of AAERI was an initiative of Australian Education International (AEI) although AAERI is an independent organisation, registered under the Societies Registration Act of India. The Association of Belgian Education & Language Immersion Operators (ABELIO) was founded in 2017 as a non-for-profit professional association. It aims at bringing together the agencies and operators of the Belgian market in order to represent the study travel industry in Belgium; and speak as one voice to the authorities and the public sector. Also, ABELIO’s wish is to ensure ethics and quality standards within the sector in Belgium, and to maintain good business relationships between the different organisations working in the study travel industry, based in Belgium. Established in 1993, ABLS is currently the only association in the UK EFL industry that specifically promotes the interests of private and independent sector providers. ABLS is an efficient, self-governing association whose members are committed to offering high quality language training. Members range from traditional language schools to home-stay and other specialist providers. ABRASEEIO, the Brazilian Association of Study Abroad Specialists for Oceania, is a group made up of Brazilian companies focused on study opportunities in Australia and New Zealand. ABRASEEIO was founded in October 2009 with the goal to raise the quality of services offered to Brazilian students wishing to study in Oceania. Australian Council for Private Education and Training (ACPET) is a national industry association for independent providers of post-compulsory education and training, for Australian and international students, including: Higher Education, Vocational Education and Training, English Language Courses, Senior Secondary Studies and Foundation Studies. ACPET has over 1100 members with nearly 600 delivering to international students in Australia. The AECEE is the Ecuadorian Association of Spanish Language Centers, dedicated to improving and upholding the quality of Spanish language tuition in Ecuador and promoting Ecuador as the premier destination for Spanish language learning. With ten member schools the AECEE celebrates its 10th birthday in 2018. The Ukrainian Association of International Education and Exchange Agencies (AIEEA) is non-profit organisation established in 2012 by leading Ukrainian agencies providing consultancy services in International Education and Exchange Programmes. The aim of the association is to support the members and promote and develop the International Education and Exchanges Industry in Ukraine, as well as provide high quality, reliable services. The founder members of the AIEEA are highly qualified Ukrainian agencies, many with over 10 years of experience in the industry and are benchmark for quality. AIEEA also offers support services to Educators including marketing intelligence and assistance in meeting reliable local agencies. Founded in 2008, AIRC is a non-profit 501(c)(3) membership association of accredited U.S. post-secondary institutions and student recruitment agencies which work together to establish quality standards for international student placement within the United States. AIRC is a Standards Development Organization registered with the U.S. Department of Justice and the Federal Trade Commission. The Mexican Association of Educational Travel is committed to promoting a culture of international education, and seeks to create a standard of quality and professionalization within the industry through the cooperation amongst its players. 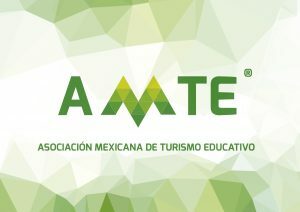 AMTE is formed by some of the most important educational travel agencies in Mexico, highly regarded schools, diplomatic missions in our country and service providers that continue to innovate the scene of international education. 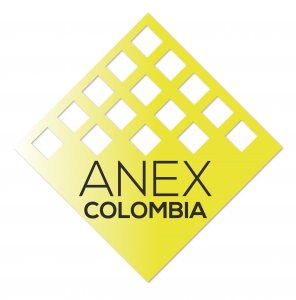 In addition, AMTE has the support of several renowned international organizations that are deeply committed to the global development of our industry. Association of Russian Educational Advisors was founded in 2007. The Association unites leading education agencies in Russia. The Association of Russian Educational Advisors works to develop the study abroad industry, implement high quality standards and support the interests of Association members. Working with AREA members you can be sure that: you are dealing with experienced consultants, you can rely on your partners, and get the best market expertise. ARSAA, Argentine Association of Studies Abroad, is a non-profit organization founded in 2016 whose objective is to establish parameters of quality and professionalism in the field of educational institutions, agents and consultants that promote and market international education programs. ASEPROCE, the Spanish Association of Language Travel Agents, is a non-profit organization founded in 1987 to join the forces of all the relevant language travel agents / consultants in Spain, both to promote their programs and protect their interests. At present, ASEPROCE has 74 members, representing 80% of the market. Member agencies have a code of practice that enable customers to receive true information and good service. ASEPROCE’s main achievement has been getting recognized as a reliable group of language study professionals and a dependable source of information for the public and the media. The BC Council for International Education (BCCIE) is a learner-driven, non-government agency funded by the province of British Columbia (BC). BCCIE represents the province’s public and accredited private K-12, post-secondary, career college and language institutions to international learners around the world. BCCIE is committed to advancing the international education interests of the province of BC. Belta – Brazilian Educational & Language Travel Association – gathers the major Brazilian institutions offering courses, training and exchange programs abroad. Founded on June 1, 1992, Belta is an acknowledged association in Brazil and abroad. Currently, its members represent more than 90% of the international education market. As specialists in international education, Belta members act as operators of courses abroad and offer guidance to their clients in regards to the best educational opportunities. BOSSA (Beijing Overseas Study Services Association) is a government-supported industry association of member educational agencies founded in 2004. BOSSA operates under the direction of the Chinese Ministry of Education and the Beijing Municipal Education Commission and currently has over 70 agency members. It assists the Chinese government in setting policies and standards on study in China and abroad services, and reinforces proper management of the study abroad industry. BOSSA is a non-profit independent organisation of international influence that is devoted to promoting the development of domestic and international education. BOSSA is the only organisation of its kind that is recognised by the Chinese government. CAPS-I is a non-profit association of 120 publicly-funded school districts/boards and sets the standard for quality international programs in Canada. Member schools offer international short/long term student programs for various grade levels ranging from primary to high school graduation. Over 75% of our international students are referred through education agencies. For nearly 40 years, Community Colleges for International Development, Inc. (CCID) has provided a network for colleges to further their internationalization initiatives and to enhance the development of a globally competent workforce for the communities they serve. CCID members also engage in partnerships with institutions worldwide to open opportunities for exchanges and knowledge sharing among students, faculty, staff, leadership and trustees at home. China Higher Ed offers a broad range of consulting and advisory services to further engagement with the education industry in China. Through its B2B platform of over 14,000 professionals in the tertiary education industry across the world, CHE is a one-stop provider of China-related education services and information. The Center for the Global Advancement of Community Colleges (CGACC) provides community colleges with guidance to face their internationalization endeavours, while advancing and articulating the mission and purpose of the U.S. community college model abroad with a high level of intensity and passion. CGACC is a critical resource for community college administrators, federal and state policymakers, and institutional leaders of national and international organizations. Colleges and Institutes Canada (CICan) is the voice of Canada’s publicly-supported colleges, institutes, cegeps and polytechnics, and an international leader in education for employment with ongoing programs in over 25 countries. CICan’s members add over $190B to Canada’s economy each year and contribute to inclusive economic growth by working with industry and community partners to offer more than 10,000 programs to learners in urban, rural, remote, and northern communities. The Council of International Education & Language Travel (CIEL) was founded in June 2007 and is registered by the Ministry of Transport, Infrastructure and Construction. CIEL is the largest study abroad organisation in Japan aiming to improve the quality of international educational, language travel and youth travel programmes. All members are inspected by the ministry and are requested by law to have sufficient funds, bonds and safety measures to protect consumers. COICEC (Confederación de organizaciones de Intercambio cultural del Ecuador) was formed in 2009 to assure the integrity and credibility of the Ecuadorian agencies recruiting students. The aim of the confederation is to support its members while promoting and supporting the International Education and exchange industry in Ecuador as well as to provide a high standard and reliable service to all clients. The COICEC founding members are highly qualified Ecuadorian agencies many with over 20 years of experience within the industry and are the benchmark for quality. For these reasons, memberships are restricted to reliable and experienced specialists in the field only. EAQUALS is an international association that promotes and guarantees quality in language teaching and learning. Accredited member institutions are committed to the continuous development of academic excellence which is verified by EAQUALS through regular inspections. The Educational Consultancy Association of Nepal (ECAN) was registered at The Chief District Administrating Office (CDO), Kathmandu, Nepal on B.S 2054/5/13 – 29th August 1997 – to ensure member organizations provide proper information, guidance and counselling to parents who want to send their children abroad to their further education. ECAN has now come up with a Code of Conduct to regulate and monitor the activities of all ECAN member organizations so that the students and parents benefit from the ECAN Objectives. Enterprise Ireland manages the Education in Ireland national brand under the authority of the Minister for Education and Skills. Enterprise Ireland is responsible for the promotion of Irish Higher Education Institutions overseas. EDUITALIA is an association of universities and schools located in Italy. By collaborating with the major Italian institutions, the association facilitates students and researchers wanting to study in Italy. Our goal is to promote courses available in Italian schools and universities, and to encourage the increase of foreign student attendance at these institutions. Malaysia has an ambitious goal to reach an international student enrolment of 200,000 by 2020, and is targeting further growth within Southeast Asia, as well as from China, India, and the Gulf Region. To accelerate its progress towards these goals, Education Malaysia Global Services (EMGS) – a private agency under the authority of the Malaysian Ministry of Higher Education (MOHE) – was created, in order to brand and market the country as an international education destination. EduSA (Education South Africa), formerly ELTASA, is the association of the major English language centres in South Africa. EduSA is committed to developing and guiding the growth of the English language travel industry in South Africa and ensuring that its members meet or exceed guaranteed minimum standards of professionalism and quality. English Australia is the national peak body for the English language sector of international education in Australia. English Australia represents over 120 member colleges throughout Australia that provide quality English language programs to students and professionals from around the world. Over 80% of international students learning English in Australia choose to study with an English Australia member college. As an association, English Australia has a focus on representing colleges whose core business is English language teaching, providing best practice support and expertise to member colleges and promoting the English language sector with global visionary leadership. English New Zealand is the voice of the English language sector in New Zealand, comprising a group of well-established, quality English language schools located across New Zealand. English New Zealand is a registered society that incorporates the long-standing organisation known as FIELSNZ (Federation of Independent English Language Schools of New Zealand), which was set up in 1986. Member schools offer quality English language tuition, teacher training (TESOL) and pathways into universities, colleges of education and other tertiary institutions in New Zealand. English UK is the national association of accredited English Language centres, and the world’s leading language teaching association, with around 470 members, all fully-accredited language-teaching centres in the state and private sector. We work to represent their interests, promote the UK market, and to ensure that students get the highest-possible standards of teaching and care. We also work with a range of partners, including Government bodies and the best study abroad agents, in the interests of members, students and the industry. English UK was created in 2004 from two established language centre organisations and has grown steadily. Membership of English UK is a badge of quality: all our members must pass one of the world’s most rigorous inspection schemes, Accreditation UK, which we manage jointly with the British Council. The European School Service (ESS) is a non-profit association founded in 1967, primarily to support efforts to maintain high standards in language courses offered where the target language is spoken. It is your label of control. The ESS Members are language tour operators and school agencies in Austria, Belgium, France, Germany, Italy, Spain and Switzerland. Your international-mix guarantee! Since 1971, Etoile Institute offers French courses for foreigners. The historic site of the Institute is an oasis of calm in the heart of the famous artistic district of Paris: Saint-Germain-des-Prés (7th arrondissement). Our second site within the residence FIAP Jean Monnet (14th arrondissement) is dedicated to the needs of school groups, allowing accommodation and courses in the same building. It is also a center dedicated to Certifications: TCF, TEF, DFP, Ev @ lang. Throughout the year the school welcomes students from around the world from more than 60 countries. Beyond general French courses, Etoile Institute prepares students to enter higher education institutions. The FDSV, a federation of German language tour operators, was founded in 1977 with the goal to set quality standards for customers which are verifiable and to which all FDSV-members adhere. Through regular review, an independent advisory council guarantees that the FDSV quality directives are being kept and that the information provided in the members’ advertising catalogues is correct. Currently there are 76 schools of Spanish under FEDELE’s “umbrella of protection”, whose main activity is teaching Spanish to foreigners. The FEDELE schools endeavour to teach Spanish in the full extent of the term, thus including Spain’s history and its cultural diversity. For this reason, membership is comprised of schools from the Canary Islands, Andalusia, Castilla and León, Catalonia, the Valencia Community, the Madrid Community and the Basque Country. La Fédération des établissements d’enseignement privés (FEEP) regroupe 193 établissements répartis sur l’ensemble du territoire québécois. Ces établissements dispensent des services à plus de 113 000 élèves de l’éducation préscolaire et de l’enseignement primaire et secondaire, soit environ 10% des élèves du Québec. FELTOM has been at the forefront of establishing quality standards within the English as a Foreign Language (EFL) industry for the last twenty years. FELTOM represents many of the longest established English language schools in Malta which account for about 80% of all student arrivals. All FELTOM member schools are rigorously inspected every three years and must meet requirements of the FELTOM Accreditation Scheme before they can become members of the Federation. Prospective English Language students can be assured of a quality experience when choosing a FELTOM school. 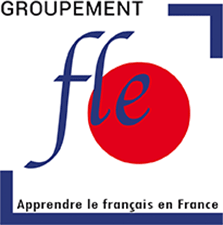 Established in 1994, Groupement FLE brings together schools teaching French in France which offer a wide range of quality services to students, business people or people just interested in learning French in France during a language stay. Our schools propose a wide range of French courses: general French, specific purposes courses, courses for teachers of French, preparation for DELF/DALF exams, junior vacation courses. Groupement FLE also aims to promote its member schools, as well as sharing experience and knowledge to improve quality standards. This ‘quality reference’ is based on criteria, firm commitments and audits, outlined in a reference document, to which all Groupement FLE member schools adhere. Hobsons is a key provider of comprehensive enrolment management solutions to the higher education marketplace. Every year, thousands of institutions leverage Hobsons’ unique enrolment solutions throughout every stage in enrolment management. With more than 30 years of experience focused on higher education, Hobsons empowers institutions with a suite of cross-media solutions, strong partnerships, and quality customer service -empowering our clients’ recruitment strategies in order to communicate with the right students in the right way. The International Association of Language Centres was founded in 1983 by eight private language schools in Europe and North America and has since grown to become a global association for private, independent language schools. Today, the IALC network of schools extends across the world, from Auckland to Tokyo, via St Petersburg and Galway to Montréal and down to San José and Santiago. IALC is proud to play a role in helping people to communicate with each other, learn about other cultures, and to discover and enjoy a diverse and fascinating world. The International Au Pair Association (IAPA) was founded in 1994 and is the leading global trade association for organizations active in all aspects of au pair and cultural exchange programmes. The non-profit association represents about 170 member organizations active in 45 countries. IAPA’s aim is to promote and lobby Au Pair programmes worldwide, and to ensure quality, safety and high standards within the programme in a way that young people and host families have an enrichening experience. International Education Consultants Association was established to develop education service both in Taiwan and overseas, to promote international education and culture, and to enhance cooperative interests. Main task and aim are expanding the market of both international and domestic education programs and developing the industry system of studying abroad in Taiwan. The International Graduate Insight Group (i-graduate) is an independent benchmarking and research service, delivering comparative insights for the education sector worldwide: your finger on the pulse of student and stakeholder opinion. i-graduate delivers an advanced range of dedicated market research and consultancy services for the education sector. The i-graduate network brings international insight, risk assessment and reassurance across strategy and planning, recruitment, delivery and relationship management. i-graduate’s consultants and advisors are some of the most experienced professionals in international education, recruitment and market research. On behalf of ICEF, i-graduate conducts regular surveys amongst education agents worldwide called “The ICEF Agent Barometer”, monitoring their opinions and providing valuable insight into agents’ perceptions of international education markets and institutions. The Barometer also covers what agents see as the most effective marketing strategies for education institutions and what institutions need to provide in terms of support for the agents they work with. At INOMICS, we strive to unlock the full potential of academia through transparency and technology. We partner with 5,000+ universities worldwide to offer a real-time feed of academic career and study opportunities, targeted to the specific needs of each and every student, researcher, agent or education professional. Moreover, we help institutions in higher education reach the highest quality target audience for their study programs, courses, academic job openings and conferences. The International House World Organisation (IHWO) is a network of language schools worldwide that are committed to implementing high standards of quality and innovation in education and training. There are currently over 140 schools in more than 40 countries. Italian in Italy association is an expanding association of independent schools, privately owned, based on voluntary work of members all over Italy. Its members teach Italian language and culture to students from all over the world. The association, founded in 1997, stands for quality in terms of teacher training, up to date didactic methodologies and complaints management. Independent Tertiary Education New Zealand (ITENZ) is the pre-eminent national association for private tertiary providers in New Zealand, representing almost half the private tertiary training establishments in the country. ITENZ is recognised by the government and government agencies as the main representative of the sector. ITENZ is dedicated to uniting the private tertiary education (PTE) sector and representing the collective membership in a competitive and challenging political environment. All provider members of ITENZ are registered with the New Zealand Qualifications Authority and are quality assured through the authority. KAEA was created to coordinate the activities of members with the purpose of improving given services, cultural and educational development of Kazakhstan, establishment and strengthening of links with educational organizations, representation and defence of common property and other interests of its members. Formed on March 3, 1987, the Korea Overseas Study Association (KOSA) represents providers of counselling and education consulting to students and professionals who wish to pursue an education abroad. Languages Canada represents more than 225 private and public language education members across Canada that offer accredited English and French programmes. Through strong international partnerships, collaboration with Canadian governments, and exceptional quality assurance, we work to ensure a bright future for international students studying English and French in Canada. Marcom eSchedule PRO by Marcom Connect provides innovative web solutions for international projects. Our expertise is in providing customised or turnkey solutions for all your scheduling needs (appointment scheduling, conference scheduling, service scheduling, room booking, equipment reservation…). Marcom Website Manager is the ultimate Content Management System for marketing professionals who want a user-friendly and highly scalable solution to take control of their website. MEI is an association of 54 recognised English Language Schools in Ireland. With origins dating back to the 1960s and a membership that includes small, medium and large schools, the association offers a high level of service and quality and a wide range of English language programmes to almost 200 000 students from all over the world each year. Quality is central to MEI’s mission. Students of every age can benefit from the high quality English language programmes offered at MEI schools throughout the country. All MEI schools are recognised by the Irish Department of Education through an inspection scheme administered by ACELS (Accreditation and Coordination of English Language Services). As of January 2010, ACELS is now part of the National Qualifications Authority of Ireland. In addition MEI members adhere to the association’s rules, regulations and standards. NEAS is a global leader in quality assurance for the English language teaching (ELT) sector. NEAS endorses English language centres in universities, colleges and high schools. Endorsed centres are granted the NEAS quality mark, internationally recognised and valued by students, teachers, agents and governments. NEAS has grown to become a global leader in ELT quality assurance, with over 220 accredited centres in Australia and across South-East Asia and the Middle East. “Ryugaku Kyokai” (Study Abroad Support Council) is a specified nonprofit organisation (NPO) certified by the Japanese Cabinet Office in 2003. As the number of students studying abroad increased, so did the number of students who encountered difficulties. We provide the assistance to, and ensure that young people who seek an overseas education can do so safely and without worry. Professional International Education Resources (PIER) provides people working in international education with a suite of web-based courses, products and professional tools, including the Education Agent Training Course (EATC) for Australian-focused recruiters. Since 2006, PIER have trained and certified over 3,000 agents, and frequently conduct agency workshops and focus groups to explore changing attitudes and work practices. While based in Australia, PIER views international education through a global lens: we see our role as fostering excellence in international education worldwide. Quality English is a quality brand which is committed to promoting high quality English language schools and their courses to international students. The schools which make up Quality English are independent and of the highest quality. QE schools deliver first class training to English language learners, QE schools are carefully selected for their quality and reputation, and offer a choice of general and specialised courses in contrasting locations. There are QE schools in the UK, Ireland, New Zealand, Canada, South Africa, Poland, Bosnia and Turkey. The Group of Russian State Universities – RACUS offers over 500 medical, engineering, technical, economic and humanitarian specialities in Russian, English and French medium of instruction for Bachelor’s, Master’s and postgraduate programmes in 20 prestigious state universities in Russia. RACUS was founded in 1991 on the initiative and with the support of a group of Russian state universities. The structure of RACUS now includes 5 departments, representative offices in 61 countries around world as well as branch offices in 11 cities of the European part of Russia. RACUS carries out functions of the international departments of the state universities, representing them abroad at educational exhibitions, seminars and conferences; organising promotional activities, including the ones in media, of the universities in foreign countries; enroling foreign citizens wishing to study in Russian state universities; supervising and providing the students with help and assistance during the whole period of their studies in Russia (5-7 years). SALTA (Swiss Association of Language Travel Agents) is the federation of language travel agents in Switzerland. Recognising that quality is essential for a successful study abroad experience, SALTA restricts its membership to reliable and experienced specialists in the field. Study California is a membership-driven non-profit public benefit corporation of the State of California, formed for the purpose of bringing talented international students to diverse educational programmes offered by California’s institutions of higher education and English language programmes. Study California strives to increase the number of international students enrolling in California’s schools and universities, as well as to facilitate partnerships between California’s schools and schools abroad. It is an important mission of the organisation to embrace other culture and further cross-cultural understanding globally. We aim to make the state of California a top study destination worldwide! The Study Connecticut team is made up of a small group of talented individuals who have taken the lead on the Studyconnecticut project. This project is the culmination of a group venture between the Connecticut DECD, the US Commercial Service, and the state of Connecticut. The goal of Studyconnecticut is to enhance worldwide awareness of Connecticut as the premiere provider of education for student of all ages in the New England area. This site, whose concept was first proposed in the summer of 2011, is the result of the dedication and hard work of the staff US Commercial Service’s Export Assistance Office in Middletown, CT.
Study Georgia is a membership driven non-profit organization formed for the purpose of bringing talented international students to diverse educational programs offered by Georgia’s institutions of higher education and English language programs. Because the demand is so high for education in the United States, and because Georgia offers such a diversity of quality programs, Study Georgia was formed to offer students and advisors one place where individuals could search for programs.Study Georgia strives to increase the number of international students enrolling in Georgia’s schools and universities, as well as to facilitate partnerships between Georgia’s schools and schools abroad. It is an important mission of the organization to embrace other cultures and further cross-cultural understanding globally. We hope to make the state of Georgia a top study destination worldwide! If you are looking for a school in Georgia, or if you would like to help us facilitate Study Georgia’s goals, please use the “Contact Study Georgia” link at the bottom of the page. We would love to hear from you! The story of Study New Jersey began in 2009, when various New Jersey universities, colleges, vocational schools, and training organisations came together with the mission of spreading the benefits and opportunities available in NJ to students worldwide. This mission soon became a reality. Today, our non-profit organisation of educational and industry professionals successfully spreads valid information about reaching, living, and studying in New Jersey. We truly believe that NJ is the best place to gain the American educational experience. Study Mississippi is a consortium of accredited educational institutions in the U.S. State of Mississippi whose purpose is to connect international students and professionals with quality Mississippi education and training. Members include high schools, community colleges, public and private colleges and universities, and professional English language schools. StudyMississippi institutions offer thousands of degrees to choose from, and are found in rural, suburban and urban settings. Study Oregon is a group of educational and training organizations whose purpose is to connect international students and professionals with quality education and training in the state of Oregon. Study Oregon helps educational institutions promote their programs to students who want to come to North America to pursue intensive English, undergraduate and / or graduate degree studies, college preparatory studies, high school diplomas, vocational and technical training, certificates, or TOEFL / TOEIC. Study Texas represents 25 Texas institutions of higher education. These institutions represent the spectrum from two-year community colleges to Research 1 level institutions granting bachelor, masters and doctoral degrees. Many of these institutions also have English as a Second Language Programmes to help those international students who do not know enough English to go directly into the institution. Study Washington is an association of colleges, universities, independent schools and education services providers in Washington State. Our mission is to promote the State of Washington as a premier destination for international students wishing to study in the U.S.A. Member schools represent all levels of education and are located in all parts of the state, offering a diversity of educational settings. Our offerings include technical training to doctoral programmes, private and public institutions, four year colleges and two year associate diploma programmes, secondary schools and English language institutes. Our members are committed to building successful educational and professional careers for our international community. Study Western Massachusetts is an International Education Consortium dedicated to welcoming international students and promoting educational opportunities in Western Massachusetts. Our consortium is a diverse group of educational institutions and our members include public and private colleges and universities, community colleges, and an Intensive English Language training organization. Study Wisconsin is a non-profit group of higher educational and training organizations (Intensive English Language) in the state of Wisconsin. StudyWisconsin members are committed to connecting international students and professionals with quality Wisconsin higher education and training through joint international marketing activities. The Association of Boarding Schools (TABS) is a voluntary membership organization for nearly 300 boarding schools in the United States, Canada, and abroad. The independently incorporated non-profit organization exclusively serves the marketing and professional development needs of college-preparatory boarding schools, and provides information for families and other individuals about the benefits of living and learning in a residential setting. The history of TIECA dates back to 1990 when a group of twelve educational consultants in Thailand formed an independent, self-regulating group under the name “The Educational Consultants Group of Thailand”, widely known as ECT. The main objectives of the group were to share their expertise in the field of international education and to help raise standards of practice and services rendered to students and international institutions. Over the years, more and more professionals joined the group. Seven years later, with 50 members from various areas of Bangkok and one Northern province, the group became a legal entity. On 11 September 1997, the group was granted approval to become an association and is now known as “The Thai International Education Consultants Association” or (TIECA). The Observatory on Borderless Higher Education (OBHE) is a global strategic services organisation that conducts high level research and disseminates emerging trends, best practices, policy frameworks, and assessment and quality assurance information relevant to cross-border higher education programme delivery across the globe. UED (The Association of International Educational Counselors – Turkey) is the association which brings together the most reliable, experienced and qualified International Educational Consulting companies of Turkey who satisfy UED’s very high membership conditions. UED, founded in 2001, has 44 member agencies now and its market share in agency business is 55%. UED always guarantees the quality of their member agencies’ services and is ready to support international education providers if they have any issues with a UED member agencies. 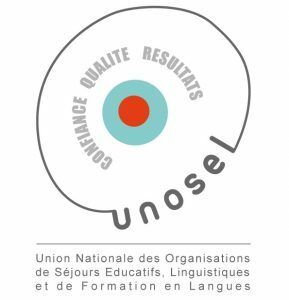 Since its foundation in 1978, UNOSEL has been active in developing language and educational training on offer in France. It is the largest federation bringing together language schools and language & educational tour organisers. 70 member organisations of UNOSEL offer products in France, Europe and throughout the world. These products and services are offered to young people, adults, teachers and people working in the field of professional training. Vietnam International Education Consultants Association (VIECA), a Vietnamese not-for-profit association which represents 20 professional organizations specializing in consulting services for Vietnamese students, seeking to pursue overseas studies, was founded in August 2000 under the auspices of the Vietnam Association for Promoting and Supporting Educational Development in accordance to Decree number 132/QD/HKHVN dated 11 June 2001. VIECA also is an offical member of the Federation of Education and Language Consultant Associations (FELCA). YEDAB (International Education Counsellors Association of Turkey) Founded in May 2013 as a consequence of years of hard work in order to give the international education sector the importance it deserves in the field, our association set out with the aim of establishing unity and integrity within the sector. With over 70 members, YEDAB is the biggest Association of the International Education sector in Turkey.